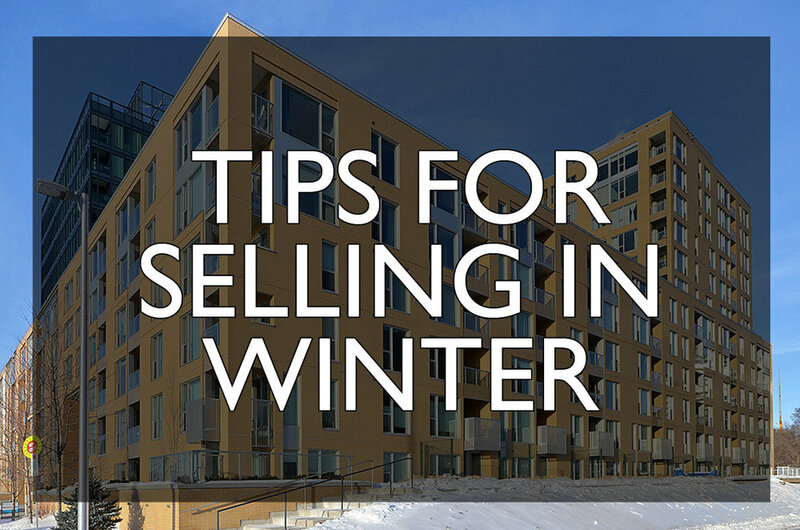 Thinking of selling your Ottawa condo in the winter does pose a few different problems that are not usually addressed in the freehold (suburban house) market. Here are some tips to help you sell when there is snow falling outside! - Remove Boots Sign. While you don’t have to deal with snow, the buyers did just walk outside and to the building. Most of the time they have boots that are covered in salt and snow. While it would be obvious that one would remove them before walking around (bonus points for leaving boots in the hallway during a showing), some still don’t. Remind them with a small sign at the entrance. It certainly helps! We have a sign that we put at every listing to help remind people! - Proper sized welcome mat. When walking inside a unit, and we are trying not to step off the mat, it can be difficult, especially if the mat is too small. You can get large mat’s at Costco or Home Depot (and then trim them with scissors to fit perfectly). Last thing you want is the first impression of the condo to feel too small! Plus use a new, clean, quality one! - Lights! Winter brings dark rooms, and an early setting sun. Make sure that lights and switches make sense to a buyer walking in. If a room does not have a light, then make sure you find a lamp for each space and room to ensure that it can be seen after dark. - Light bulbs are all working! A simple one, but I see it too often, where only one bulb works and it doesn’t show the space as best as it can. Bonus: have all of the bulbs in the unit on the same light “colour” - such as daylight or warm white. - Leave lights on! While it is not as eco friendly as we would like, if it is possible to turn all of the lights on before leaving the property will certainly show better. - Turn up the heat! Again, this isn’t the time to be thinking of saving a few dollars. Even more important on a colder day, heat the condo a degree or two warmer than usual. It will help make the home cosy and comfortable to a buyer who was just outside in the cold. - Make sure that the walkways on the outside of the building are shovelled and salted. In most buildings, the building caretaker or super is tasked with ensuring that the exterior area’s are safe and kept clean. Sometimes this means a few constant reminders to the condo board or even a gift card or nice gesture directly to the person who is in charge of the cleaning and maintenance. - Does your condo have a balcony or terrace? Make sure it is shows the best that it can. This might mean shovelled (if you are able to remove the snow over the edge - without getting in trouble) or make a small pile if possible. Also think about having another mat, so people can go outside (most buyers wont for smaller or normal balconies). - Do you have seasonal photos? Some views are very different in the winter vs summer. Especially for lower floors that are more impacted by trees for privacy. Leave these photos out for buyers to see. If you are able, get professional photos done in the summer - especially if you know that you will be selling in the winter. Thinking about selling your Ottawa condo while there is snow on the ground? Let’s chat! Fill out the form below.